Another week passes and we have some more exciting news for you to catch up on including a race-spec Ford GT supercar, a new Renault Megane RS and the first concept image of the new Roborace car! The next Megane Renaultsport has its eyes firmly on rivalling the new Ford Focus RS, with the car set to push over 300 bhp. Although no official pictures or details have been released, the folks over at AutoExpress have managed to get an exclusive shot of how it might look. The car is currently undergoing heavy development and sources say that the car will push more than 300 bhp potentially through a new four-wheel drive system. The Focus RS is 345bhp so they're going to have to get as close to that as possible, but with the current generation running 271 bhp through it's 2.0-litre four-cylinder turbo, they're going to have to try and make up over 70 bhp somehow. That's not to mean it'll be a pure like-for-like in power, as inside reports say that their main focus is on the handling - after all, what good is power if you can't put it down? We'll bring you more as and when it emerges. The first concept car of this year's Roborace series has been revealed and it looks like nothing you've ever seen before. 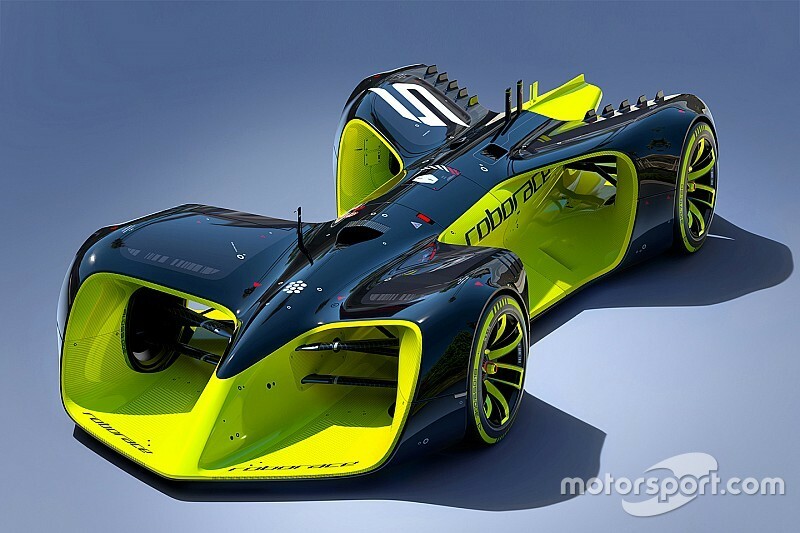 For those of you that don't know, Roborace is the autonomous car race series that is set to begin later this year as a supplement to the regular Formula E race series. The idea is that everybody will be given the same car and kit, but have the challenge of writing and producing the best software into their cars and essentially win the race without a driver at all. We're unsure as to what the car is running or more importantly, if the series will be a success. However, it certainly seems like a sink or swim scenario where it might be gripping to see such an unpredictable, frequently changing race series or one that is mundane and boring without the competitive nature of a driver. I guess we'll have to wait and see when the series starts later this year. The luxurious Bentley Mulsanne has been given a facelift in both its Speed and LWB (Long Wheel Base) versions. The brand's flagship saloon has been a number of changes including a large sunroof that projects over the rear cabin, a re-styled front end that includes a stainless steel vertical grille. There is also new LED lights on the front and rear, a wider rear bumper and a variety of 21-inch alloys to choose form. On the inside you'll instantly notice that the already-luxury interior is now even more luxurious than before, with over 24 different colour schemes to choose from and a choice of Fluted or Quilted leather seats too. An overhaul in looks is coupled by some cool gadgets including electronic leg rests, a new centre console, a Champagne fridge, glass-covered stowage area and foldable tables and window blinds. All of this and more takes a whopping 150 man hours to put together, it's not hard to understand why they cost over £250,000 each! Volvo has announced that their V60 Polestar has been updated for 2016 to make it the fastest, most efficient model yet. The changes are a result of a new 2.0-litre twin-turbo four-cylinder 'Drive-E' petrol engine that replaces the old 3.0-litre straight-six, meaning the car now produces 362 bhp in comparison to the previous 345 bhp, with a 0-62 mph time up from 5 seconds to 4.8. The most impressive figures though are its mpg, with it managing 34.9 mpg whereas the old one managed 27.7 mpg. On the outside nothing has changed, but a tweaked four-wheel-drive system, performance-focused ECU map and Volvo's latest eight-speed automatic gearbox, the car drives quite dramatically different to the previous model. It's also 24 kg lighter making it slightly more nimble than ever before too. The car is available to order now and will cost just over £49,000. A race version of Ford's latest GT supercar is set to take part in the Six Hours of Silverstone event on April 17th as part of the FIA World Endurance Championship. The car - powered by a 600 bhp 3.5-litre V6 EcoBoost engine - will make its public debut in the UK at Silverstone before going to Belgium for Six Hours of Spa and then France for the 24 hours of Le Mans. Seeing the car in action will give a great insight as to how the car drives and performs, as so far little is known. It's not yet available in the UK however their website does say "The Ford GT application process will begin soon. Please continue to check back for further details." so you can expect that to change at some point this year. The price is expected to be between £250,000 and £350,000 each, which may seem expensive but with only 250 units available per year, you can expect them to not be short of buyers.